Walk in showers are a great choice. They make you feel like you have something luxurious at home. It doesn’t matter what type of house you live in. The moment you step inside your shower room and you use a walk in shower, you will feel like you are transported to a different dimension. Here are some more reasons why having this type of shower is a great choice. It does not take time to install it. Compared with traditional showers, walk in showers are easier to install. Linear shower drains require just a single slope for them to work right away. On the other hand, for traditional showers that are placed in the centre, the slope is in four directions. It is time consuming in terms of installation and only works if you use smaller tiles in the bathroom. Everyone wants to have a bathroom where they can totally relax and just enjoy taking a shower. Between work and life, you deserve some time to yourself. In fact, this is something most people look forward to especially after a busy day. They just want to forget everything else and have a nice hot shower. Walk in showers meet this demand. You can easily create a bigger space in the bathroom and just feel comfortable. The good thing about walk in showers is that the need to step in and out of a bath is completely eliminated. You won’t have barriers and thresholds anymore. Before, walk-in showers were considered only for mobility purposes especially for kids and the elderly. 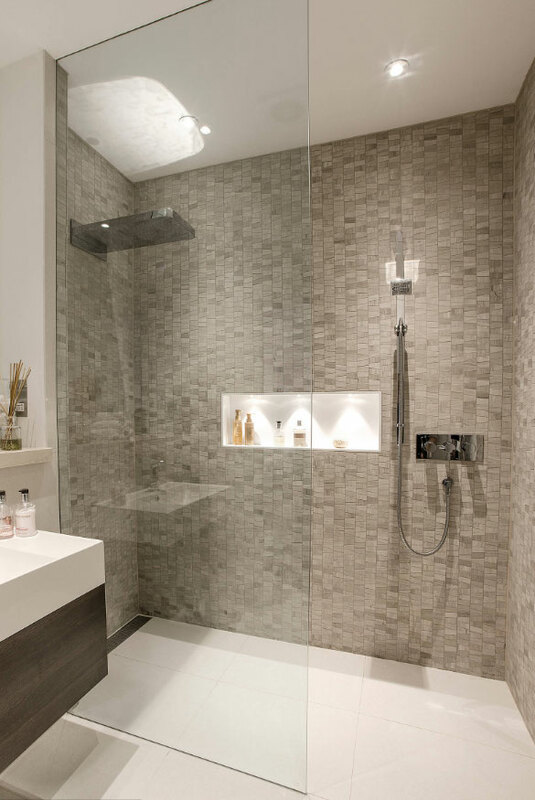 Today, walk-in showers provide a more dramatic experience which appeals to everyone. This is perhaps the best reason for choosing a walk in shower. There are no parts that are difficult to clean or corners where dirt could easily build up. For walk-in showers, the design is very minimalist in nature. There are only a few areas where water and dirt could probably settle. It means you will spend less time cleaning. You don’t have to spend several hours each weekend just to keep stains away. For busy moms, this is such a huge help. Building walk in showers might be a bit costly. However, given all these advantages, you should not worry about it. The experience will be worth the investment you make. Showering should be something that you enjoy. It is a time when you can relax and unwind. This is also the time for you to get rid of stress and start fresh. You owe it to yourself to have something nice even just for your shower room. Besides, the other members of your family probably need it too.